Gladys M. McKerns, age 93, died peacefully early Monday morning at the Courtyards of Brethren Village with family by her side. She was the wife of Edward McKerns with whom she shared nearly 70 years of life. Gladys was born in in Mahanoy City, PA to Frank and Hattie (Snyder) Millard. Gladys was one of eight children, including her brothers Frank, Bill, and Bob and her sisters Blanche, Betty, Anna, and Mae. Gladys is survived by her sister, Mae, in Texas and many nieces and nephews. Gladys will be greatly missed by her niece, Sue, who was so supportive to her aunt. Gladys especially enjoyed their outings to Aldi’s! Gladys and Ed moved to Lancaster where he worked for Armstrong World Industries and she worked briefly for Hamilton Watch and then RCA for 36 years as a group leader in incoming inspection. Gladys was always busy! She was a member of Grandview United Methodist Church, where she took care of the cradle and toddler roll and was a member of the Dorcas/Lydia circle. Gladys was a superb baker who always had a homemade frozen pie crust in the freezer (there are still two) or small batches of cookie dough ready to be used. Gladys was an excellent seamstress and her needlepoint work was exquisite. Gladys and Ed enjoyed traveling across the US, often following Ed’s beloved Fighting Irish and visiting 38 countries. They especially loved Germany and Spain, making friends in those countries and staying for extended time year after year. It was while traveling that they met Jane Lanzos, who became part of Gladys’s extended family. As a result of this friendship, Jane and her husband, Manny, planned and shared many trips with the McKerns, and made it possible for Gladys and Ed to continue to travel even as they grew older. Growing up Joanne (Fallan) Freund and Pat Fallan were fortunate to have had Gladys and Ed as second parents. Although Gladys and Ed did not have children, they were happy to claim Joanne and Pat as their own, watching them grow up and celebrating holidays and life’s milestones with them (even providing a place to retreat when Joanne was in trouble with her parents). Gladys’s love extended to their spouses as well (Bob Freund and Diane Fallan) and especially to their children, Kelly Freund, Meg Reed, Katie, Jason and Andrew Fallan. In recent years, Gladys has lived at Courtyards at Brethren Village. Although those who cared for her may not be “next of kin,” they were truly her family. She was surrounded by people who grew to love her – her sense of humor, her no-nonsense comments, and her feisty spirit. The family would like to thank Tracey and Betty for their constant vigilance; Jenna, Amanda, Essence and the many other angels for their devotion; Ronnie for lifting everyone’s spirits at meals and Tammy for appointing Gladys her mail carrier and for being brave enough to take the whole crew bowling. Family and friends are invited to attend a Memorial Service at Grandview United Methodist Church, 888 Pleasure Road, Lancaster PA 17601 on Monday, December 18, 2017 at 11:00 AM with Pastor Andrea Brown officiating. A reception will be held at the church following the services. 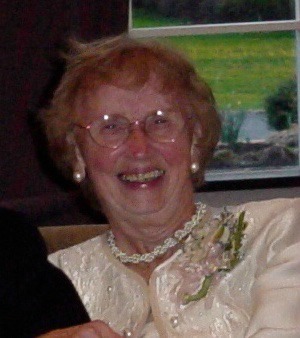 In lieu of flowers, contributions in her memory may be made to Grandview Heights Methodist Church at the address above.